Reclaim your vibrant health energy and your innermost feminine wisdom. Transform your old patterns into new ways of living your pleasure and purpose! I love to offer you one on one sessions in Traditional Acupuncture and Women’s Healing Love, a highly effective and powerful combination as they both have their roots in the tradition of the taoist Five Elements of nature. (Fire Earth Metal Water Wood) As humans, we are an integral part of nature. These sessions will help you align your mind, body and spirit with the elements of nature and thus with your true Inner nature, shifting you towards more vibrant health energy and a healthier, happier, more fulfilling life. This is a traditional acupuncture treatment which can address any physical, mental, emotional or spiritual concern. By its very nature of diagnosing the root cause, the treatment will automatically address all aspects of the individual. We will look at which of nature’s elements within you most need support and work with balancing the corresponding vital organs and their energy pathways. This is carried out using very fine needles to manipulate carefully selected acupuncture points along the relevant meridians. It is usually experienced as very relaxing. In addition, depending on your needs, you may be offered nutritional and lifestyle guidance based on taoist principles. This treatment will include all of the acupuncture elements above. In addition, various Women’s Healing Love practises will be woven into the session. 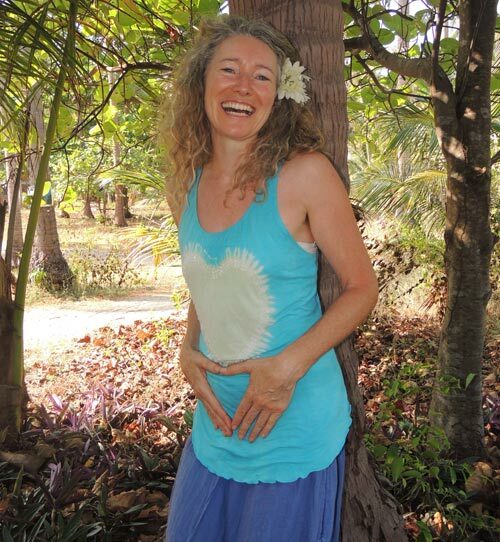 These could be visualisation techniques, healing sounds, simple qi gong movements and meditations .They will help you to commune more closely with your Body Temple and hence access your own Inner Feminine Wisdom. In doing so, we’ll access where in the body the blocks to your true Feminine Essence lie and we’ll treat with acupuncture and related five element gems to help you weave new pathways towards your highest potential. You will be shown how to practice at home so that you can maximise your healing potential. This session is for you, if you want to rediscover your passion for life, your sacred sensuality and your innate creativity. It will support you through some ‘stuck’ area of your life. It will focus on finding the root of old non-serving perceptions of yourself and old engrained patterns. This generally involves some physical/mental/emotional aspect of your sense of being a woman. We will bring this into the light for transformation with meditations, energy movment, healing sounds, qi self massage, clearing energy pathways in the body all designed with your particular energy patterns in mind. As with session 2 (above) I’ll share practises for you to weave into your everyday life in order to maximise your creative and transformational potential. Nb: This session can also be held via Skype. Want to release old stagnant emotions around your femininity, eg guilt, shame, fear, anger, frustration, grief, lack of confidence. Want to discover or regain your intimate loving connection with your body. Want to learn how to cultivate and move sexual energy (life force energy or Original Qi ) for your health, happiness, sensuality and/ or spiritual growth. Are interested in the taoist women’s practises and you seek more of a personal initiation rather than learning from books or tapes. Would like to address some aspect of your health and /or femininity on a more personal basis. Would like to learn the sacred healing art of the Jade Egg in the privacy of a one to one session. This is a sacred half day ritual of surrendering into the essence of your feminine self. We play with meditations, emotional balancing, energy movement practices, qi self massage, sexual energy cultivation and circulation, flowing into the Jade Egg practise if and when ready. This three hour journey is tailored to your own personal healing needs and sensual well-being. What is Women’s Healing Love? 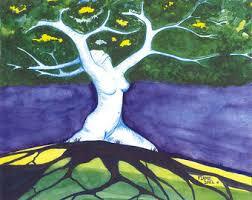 Women’s Healing Love refers to ancient taoist energy practises for the modern woman. These practises concentrate specifically in clearing and healing old patterns to do with our confidence, sensuality and sexuality as women. As a part of this healing, sexual (life force) energy is cultivated and circulated to enhance our health and creativity. In women’s healing love, we work with the whole body, with a focus on the heart and sexual organs, breasts, womb, ovaries, yoni . It is in these places, in terms of energy, that womens’ emotions have been most suppressed through centuries of old conditionning. And, it is in the alchemy of the heart with the womb that a woman can rediscover her feminine essence and innate powers of healing. 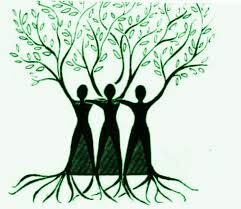 Once liberated and the heart/womb union is strengthened, a woman regains connection to her whole body, her inner wisdom, her creativity and has the power to reclaim her birthright of a joyful fulfilling life. Contact me here to enquire about any of these sessions to liberate your vibrant health energy, your creativity, your sensual well-being and your powerful Inner Woman! I look forward to sharing your healing transformation with you! Take a look at The Tao of the Rose to find out more about my ‘Journey’ and ‘Credentials’!